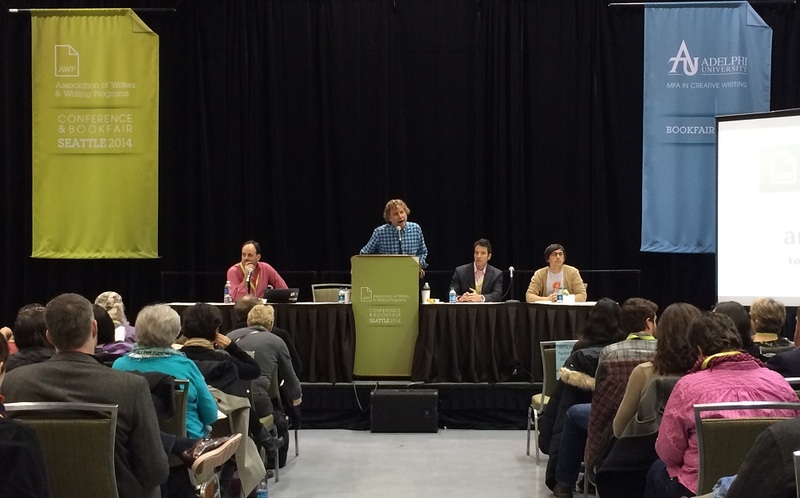 Earlier this month, ACX attended the Association of Writers and Writing Programs (AWP) conference in Seattle, Washington. Along with our friends at Kindle Direct Publishing (KDP) and CreateSpace, we spent 3 days meeting future ACX rights holders and spreading the word about independent publishing. 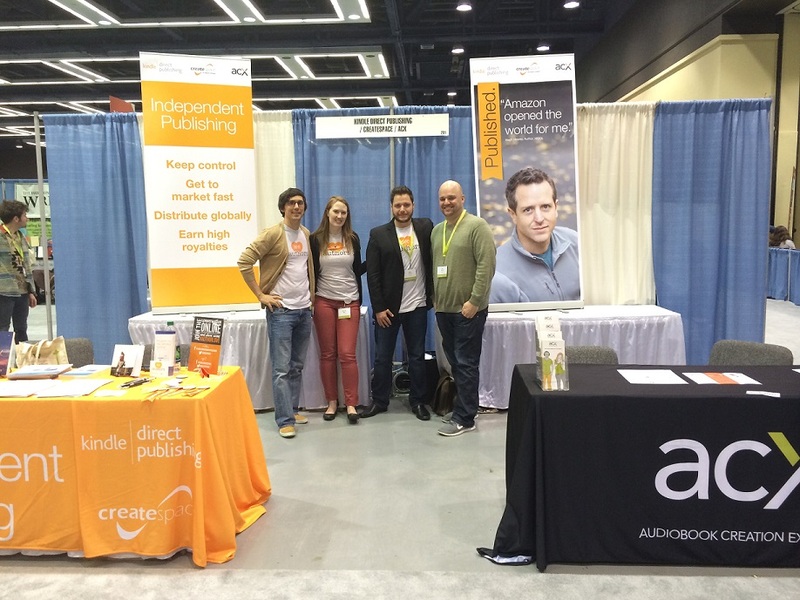 AWP is one of the largest annual gatherings of small publishers, aspiring authors, writers in MFA programs and self-published authors, and we were thrilled to introduce them all to audiobook publishing and ACX from our booth and the podium. On Saturday, Jason Ojalvo spoke to a gathered crowd of over 100 rights holders in a panel lead by Amazon’s self-publishing advocate, Jon Fine. Also in attendance were representatives from KDP, CreateSpace, and GoodReads. Members of the Amazon indie-publishing team, from L to R: Philip Patrick, Jon Fine, Jason Ojalvo, and Thom Kephart. Of the over 13,000 attendees, many had yet to publish, and meeting such fresh faces meant we had a chance to get them thinking about audio right from the start. From a creative perspective, thinking about how your words will sound when read aloud and listened to by people all over the world may help you write the way people really talk. 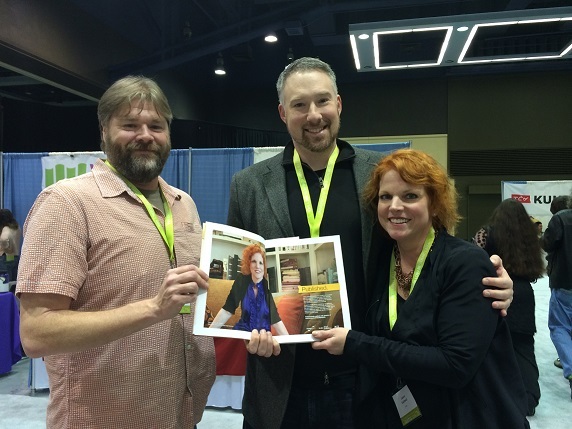 From R to L: ACX Author Laura Caldwell shows off her two page conference program spread with fellow authors Seth Harwood and Tyler Dilts. The result of all this outreach? 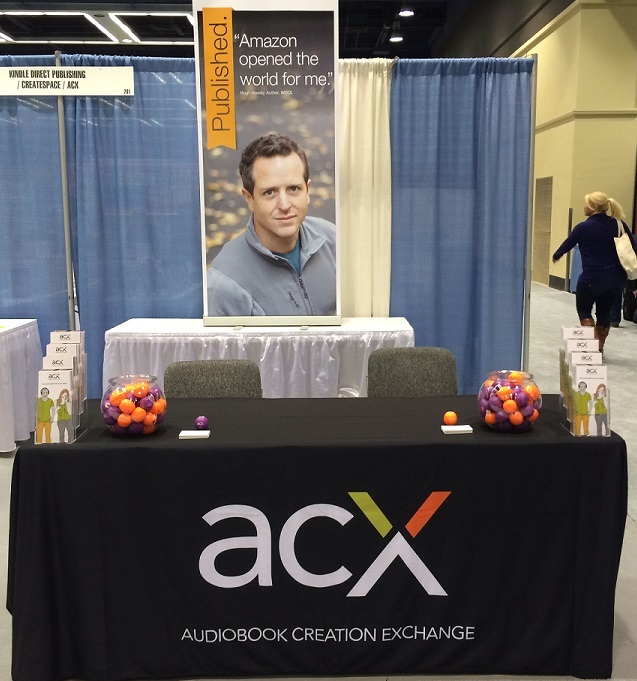 Authors are more excited than ever about audiobooks and creating them through ACX! We’ll be attending a number of events through the year (next up is VO Atlanta 2014!) to spread the word about ACX, so keep on the lookout for us at the next writing, publishing, or voiceover event near you. And make sure to come say hi when you see our smiling faces! I’d only add, “the way people really talk and think” , ie, internal stream of consciousness. Either way though, listening to one’s flow of words, even if within one’s head and heart, is definitely something thinking audio encourages. Thank you much! As an indie author that used ACX to publish the audiobook version of my book, I’m very disappointed with your recent royalty structure changes which makes it less likely for self published indie authors to produce new audiobooks. It demonstrates ACX doesn’t really understand or care about self published indie authors. I trust you heard about this from indies in attendance and that you’re taking our concerns back to management. Love ACX for helpful support, ease of production, and excellent website. Nice to see them in Seattle . . . my favorite narrator-producer lives there! Looks like a great conference! Was marketing discussed? I would LOVE some tips on how to market my ACX titles. Thanks for this great blog.